Istituto Motori, CNR, Naples, Italy. 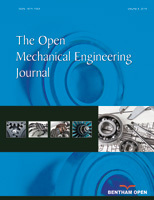 This paper analyzes the vibration behavior of an in-line 4-cylinder, 4-strokes, internal combustion turbocharged direct injection gasoline engine. A detailed multi-body numerical model of the engine prototype was used to characterize the whole engine dynamic behavior, in terms of forces and velocities. The crank train multi-body model was created starting from engine geometrical data, and the available combustion loads were employed for the Multi-Body Dynamic Simulation (MBDS). A combined usage of FEM and multi body methodologies were adopted for the dynamic analysis: both crankshaft and cylinder block were considered as flexible bodies, whereas all the other components were considered as rigid. The engine mounts were considered as flexible elements with given stiffness and damping. The hydrodynamic bearings were also modelling. The software LMS Virtual Lab (modules PDS and Motion) and ANSYS were used for the simulation.